The Smith-Reticle EMBA Experiential Day was held Feb. 10 at the Reticle’s Zero4-NORTH Training & Innovation Facility in Brockville. Brockville, ON – The Queen’s Executive MBA (EMBA) class of 2019 was the first to experience a new learning element added to curriculum of the program’s Creativity and Innovation Residential Session. It was an early 5 a.m. start on day one of the session, as participants boarded a bus bound for Brockville, the base of operations for Reticle Ventures Canada and the location of the Smith-Reticle EMBA Experiential Day. Founded in 2003, Reticle draws upon military Special-Operations training and expertise to provide specialized consultancy services to private-sector organizations. Smith first partnered with Reticle in 2017 to develop a 40-hour team-building and resiliency challenge for its full-time MBA students. Its success was the catalyst for creating a similar one-day program customized for the EMBA cohort. 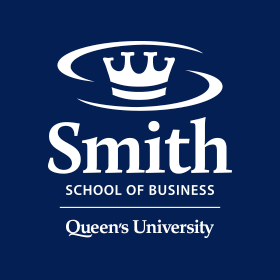 “We are great at what we do with team-based programming, however we want to do more, do better and really prepare our graduates to be exceptional team players and team leaders,” explained Gloria Saccon, director of the Queen’s EMBA program. Over the course of 16 hours, the class was presented with a series of challenges designed to test their team-building and leadership skills, creativity and innovation in an ambiguous environment. “Being thrown together with a new team and exposed to the mental and physical challenges quickly brought us together as a team highlighting our individual strengths. The ambiguity of the day and the environmental elements added a unique element and pushed our team to look at challenges and situations with a different lens,” said student Shara Tardif. The program was a terrific way to kick off the second on-campus residential session, which seeks to build on the work participants completed in the fall to create efficiencies both personally and within their team environment. “As the class now embarks on a broader and more strategic perspective of doing business, both domestically and internationally, they can draw on different frameworks and leadership abilities to lead and affect change and growth,” Gloria said.